At Revealed, we talk a lot about the power of portraiture to help heal those struggling with confidence. It takes courage to be photographed. It means being vulnerable and embracing your individuality. We believe in this so much that we’ve decided to practice what we preach. For the next several weeks, each member of the Revealed team will be posting examples of our “revealed” selves–a photo showing our unique nature. To kick things off, I’ve dug deep into my archive–all the way back to my junior year of high school–when I shaved my head. That’s right; I made like Demi Moore in G.I. Jane. I was 16. I was a bit dramatic. But at the time, I was just starting to feel the inklings of pressure to look a certain way (who doesn’t in high school) and wanted to push back against that current. This picture shows me at one of my most vulnerable moments, where I confronted the notion that beauty is more than skin deep, and literally sheared off my comfort zone. It was frightening, but a move that has stayed with me as a gut check ever since. If you’d like to share a picture of your “revealed” self, along with our team, post it using the hashtag #revealedself, and nominate others to do the same. We’ll share your images on our social media platforms…because we could all use a little encouragement on the path to self-acceptance. As bridal season approaches, we found ourselves getting so inspired by new trends in lingerie. As exciting as pretty lingerie is, it’s even more exciting when the company embraces female empowerment and let’s be honest, comfort. We’ve chosen some of our favorite lingerie lines and shared below what makes them so special. Embrace a spirit of celebration with Brené Brown‘s Guideposts to wholehearted living. It’s 2016. A new year and a new start. Our wish at Revealed is that you begin again with a spirit of celebration. Not just acceptance, but real celebration. What’s your internal dialogue sound like? Consider the tone you use toward yourself. Is it kind? Would you talk to your friend, sister, or mom that way? Realign your thinking, directing thoughts away from self-doubt and criticism. Instead, we wish for you rejoice in the good. It’s there, we promise. How to let go of who you think you’re supposed to be and embrace who you are. If you’re struggling with this, her guideposts for Wholehearted Living are a great jumping off point. Demi Lovato, like many women, struggled with a negative body image and eating disorder. This photo shoot was a big triumph for her–going completely bare-no makeup, no photoshop, no clothes. What a brave move. Make sure to watch the video where she explains her choice. 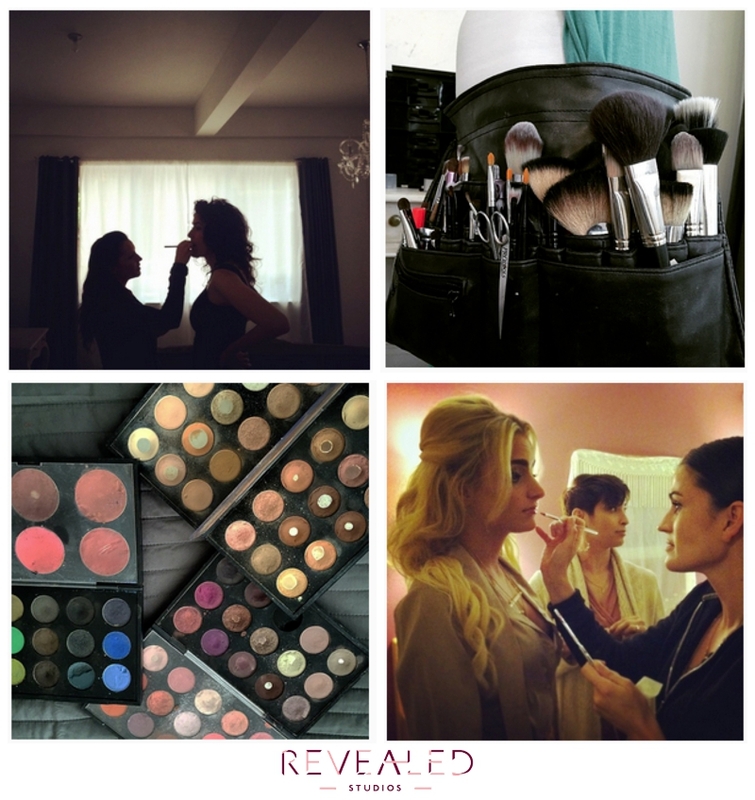 Thank you so much for visiting and returning to the Revealed Studios blog! As we continue our work of celebrating women through photography, we love knowing our mission hits home with many of you out there. Over the past year, we’ve seen a lot of growth and many changes. We’ve worked with more women than ever, helping them experience the liberating and healing power of boudoir. We’ve photographed women from Texas to Australia, from their twenties to their seventies. As our business expanded, we’ve continued thinking deeply about why we do this work. Yes, it’s fun and fulfilling on a very basic level (we get to serve gals champagne, get them all glam’d up, then honor our love of photography by capturing it all on camera). But what really makes our hearts, is watching the celebration that occurs during the Reveal Session when we witness women see themselves in a whole new light. Watching as someone is overcome by their pictures to the point of tears is incredibly moving. It’s during those moments that we know the value of this experience is more than skin deep. It reaffirms our mission and inspires us to do more. This year we introduced our Real Women of Revealed campaign. We began this series to honor the amazing women we’re surrounded by who embody the idea that beauty is more than appearance. We’ve featured some very remarkable women, and now that summer is winding down, we’re looking forward to sharing others. We want to invite our past and future clients to submit their own recommendations for this opportunity. Each participant will receive the ultimate day of glamour, including professional hair and makeup, as well as a magazine-like portrait shoot, with an accompanying written feature sharing why this person was chosen. Interested? Please contact us at info@revealed-studios.com to find our more information. This fall, we’re also introducing a few very exciting new services. We can’t share the details just yet, but I will tell you it’s perfect for the client wanting more than a paper product from their boudoir experience. As for the service we can talk about, it comes from hearing client after client tell our makeup artists, “I have no idea how to do my makeup,” or “I only know the basics for applying makeup,” and “I wish I knew some techniques for mixing up my makeup routine. Well, you asked, we’re answering. We’re introducing makeup workshops at the studio. This is the opportunity to come back for an intimate lesson with our artists, who will walk you through their techniques for everyday makeup to special occasion looks. They’ll share tips on correcting dark circles under the eyes, a common complaint for new moms, and how to make your eyes pop without looking heavy-handed. Participants will get an inside scoop on the best products on the market and one-on-one help practicing techniques. “It’s with sadness that I am leaving Revealed Studios. It was a tough decision, but I’m leaving to pursue other endeavors. Helping women see their beauty and power has been a life-affirming opportunity and one I will cherish always. Known as “Aunt Sandy” to many, A Silver Lining Foundation Founder Dr. Sandy Goldberg is dedicated to providing free mammograms to women who can’t afford them. In 2000, Dr. Sandy was told she had breast cancer and would need surgery immediately. As a contributor on nutrition for NBC Chicago, she had the unique opportunity to share her experience with thousands of viewers in what became an intimate documentation of her 14-month journey treating and–ultimately– surviving breast cancer. Her answer: “start a foundation.” And that’s how A Silver Lining Foundation (ASLF) was born. Dr. Sandy’s mother was an immigrant to America from Russia and each month, when it came time to pay the bills, set aside a portion for others. She always heard her mom say in Yiddish, “we’re all family. We have to help each other through the tough times.” This way of thinking stuck with Dr. Sandy and eventually became the philosophy behind ASLF. With Mother’s Day fast approaching, we are honored to feature Dr. Sandy as a Real Woman of Revealed. Like many of our own mothers, she’s an example of someone with a fountain of beauty streaming from her heart that nourishes those around her. This Mother’s Day, we’re celebrating Dr. Sandy and A Silver Lining Foundation by partnering with The Hue Studio to raise money for ASLF’s Buy a Mom a Mammogram® Program. Revealed will be donating 25% of all proceeds from any Mother’s Day photo shoot to this important cause. We hope this gives you another reason to pamper your mother this year with a makeover and photoshoot. You can even jump in the pictures with your mom to capture the moment together. Know your gift will help a great cause, because like Dr. Sandy believes, we’re all family. 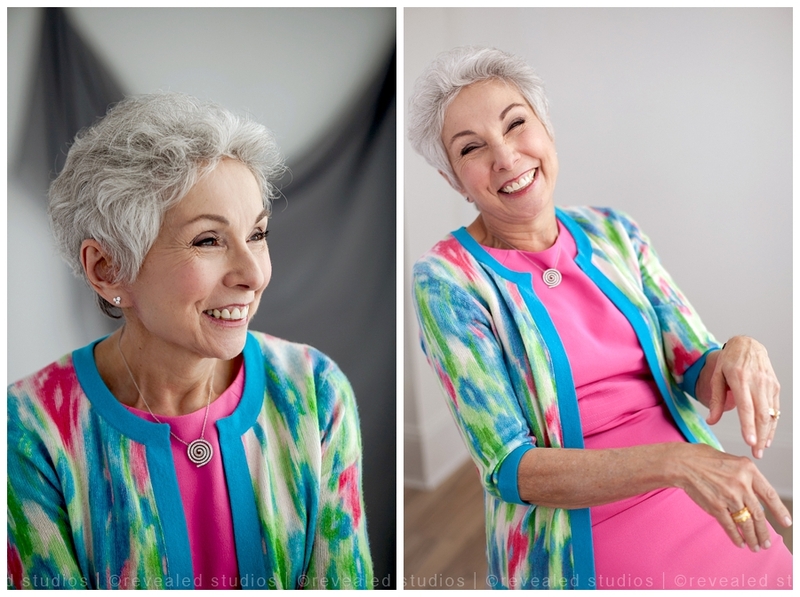 A Silver Lining Foundation Founder Dr. Sandy Goldberg feature is part of our on-going series, Real Women of Revealed -a collection of photos and stories of inspirational women we feel exemplify beauty beyond appearance. Click here to see more from this series.